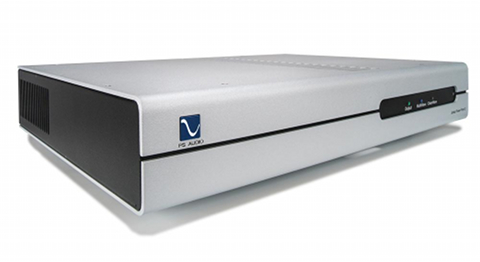 PS Audio introduces a Power Plant into the Stellar line. PS Audio originated the product category of power regenerators. Through the years the company has gone bigger and smaller in their line of Power Plants, but until now, there hasn't been one similar device in their affordable Stellar line. That changes now, with the introduction of the Stellar P3. According to the press release, the Stellar P3 provides 300 watts of continuous power output and peaks of 900 watts, and can supply both the Stellar M700 monoblocks and GainCell preamp, or a set of source devices in a system. Designed with elegant simplicity to match the rest of the Stellar line, the P3 is a fuss-free, plug-and-play device. The P3's active regeneration process provides perfect power and lowers the impedance, increasing the dynamics and openness of a system, PS Audio says. In addition, the P3 features surge and spike protection, so the connected equipment are safe. Stellar P3 offers 3 Power Port classic AC output receptacles and, additionally, includes 15A filtered outputs. Its efficiency is 85%, for cool operation. The device includes, also, a remote control. It will be available to ship late April, 2019 at US MSRP $2,199.